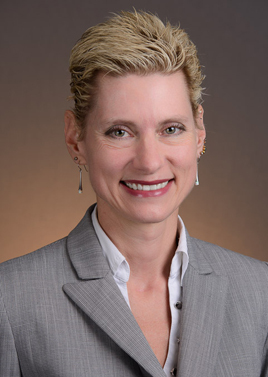 As the campus chief academic officer and chief operations officer, CP/EVC Marlene Tromp is responsible for providing vision and guidance to the senior leadership team as they work to fulfill our campus mission and attain our strategic goals. She works closely with Chancellor George Blumenthal and is the administration's primary liaison with the Academic Senate. Tromp's priorities include engaging faculty in the creation of a vibrant academic and research vision, providing focused leadership to support student academic needs, seeking new support and resources for our academic mission, and growing our commitment to serving first-generation college students and a diverse student population. A scholar of the long nineteenth century and our current cultural moment, Tromp studies “marginal” culture, social justice, and social change. She has written on violence against women; women writers and “sensational” narratives; gender, sexuality, and empire in seances; race and freak shows; race and economics; and race, class, and gender in the Titanic disaster. Her current research project explores justice in the investigation and adjudication of murder cases from the Victorian era and today. She is professor of literature and critical race and ethnic studies. Tromp joined UC Santa Cruz in 2017 after serving as vice provost for Arizona State University’s West Campus and dean of ASU’s New College of Interdisciplinary Arts and Sciences.